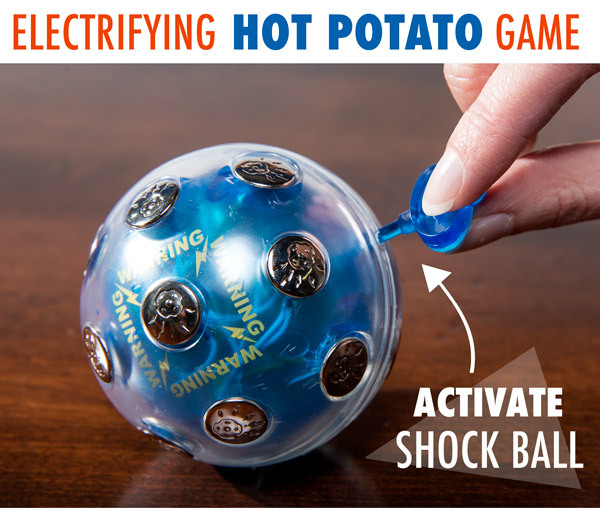 Shock Ball: Hot potato with a shocking twist. 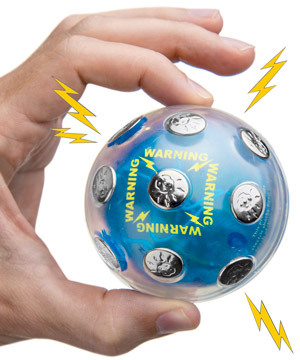 Literally amp up your party games with a jolt of excitement, and start passing the Shock Ball. When turned on, this futuristic-looking orb emits mild electric shocks every 10 to 30 seconds. Pass the ball back and forth like a hot potato, hoping you’re not the one stuck feeling the juice. While not painful, the zap can be enough to startle you into dropping the ball, eliminating you from the game. The threat of a jolt adds an exciting nervous energy to the game that makes Shock Ball fun and thrilling in any location. 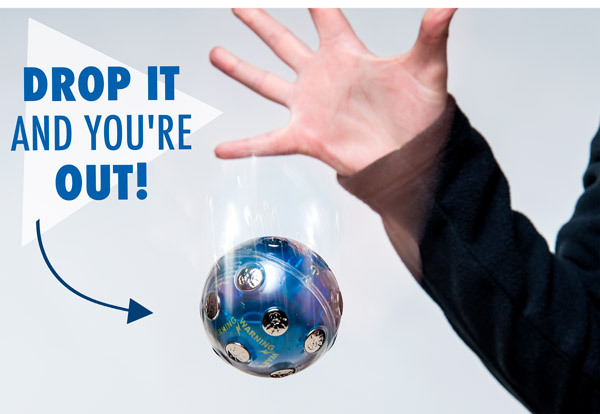 When you want a fun party game with a little more at stake, start tossing around Shock Ball. 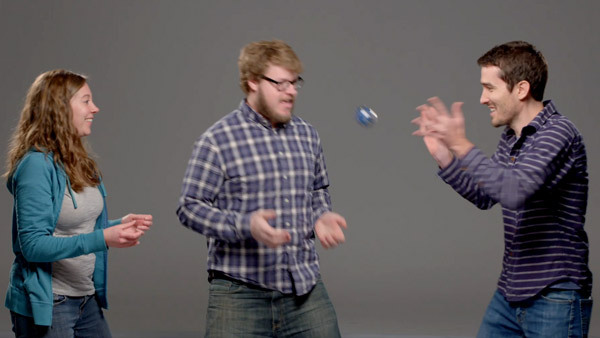 This unique toy quickly turns your gathering into a frantic, laughter-filled game of hot potato. The unlucky one who receives the random shock must keep their wits about them, as dropping the ball eliminates them from the game. Keep playing until only one person remains! This is no tame game. To activate your little orb of mischief, insert the included activation key into the small hole in the casing and press the power button. The ball will begin producing electric shocks at random intervals every 10-30 seconds. The shock is felt through the metal conductive points scattered across the surface of the orb. When you see the ball glow red, it means the ball is electrified… and you better hope it doesn’t get passed to you! Feel the electricity in the room. 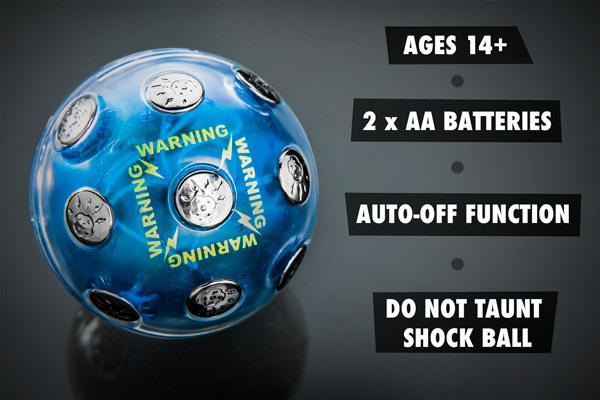 Grabbing a ball of electricity sounds like a reckless dare, but Shock Ball delivers the perfect amount of dangerous. The shocks, while unpleasant, aren’t painful or permanently damaging. To ensure that the ball is only used when expected, the on/off switch is safely enclosed within the plastic casing. Shock Ball also has an automatic sleep function that kicks on after a minute of inactivity. This prevents you from accidentally leaving it activated and shocking the person trying to clean up at the end of the night. It doesn’t hurt, it just doesn’t feel good either. 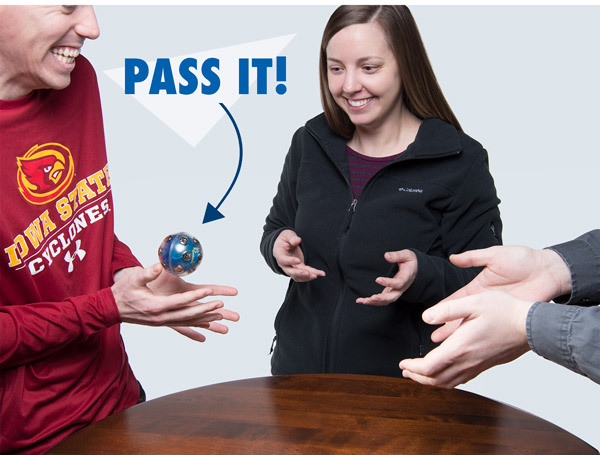 Shock Ball can be used for more than just hot potato; this unique toy lends itself to the invention of new games and can be used to resolve classic disputes. Use it as a more exciting rock, paper, scissors when you need to settle important matters like who gets shotgun. Since Shock Ball can be used with a large number of people, it’s great for any size party that needs a zap of excitement. Question: But, seriously, does it hurt? 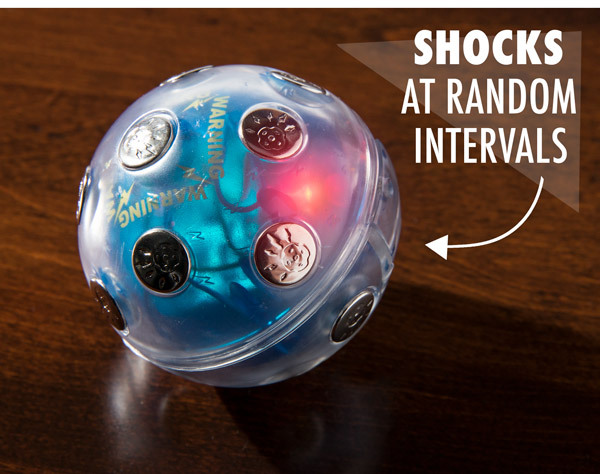 Answer: Shock Ball’s shocks are designed not to be painful. You won’t look forward to it, but it’s not enough to incapacitate you or keep you from playing again. 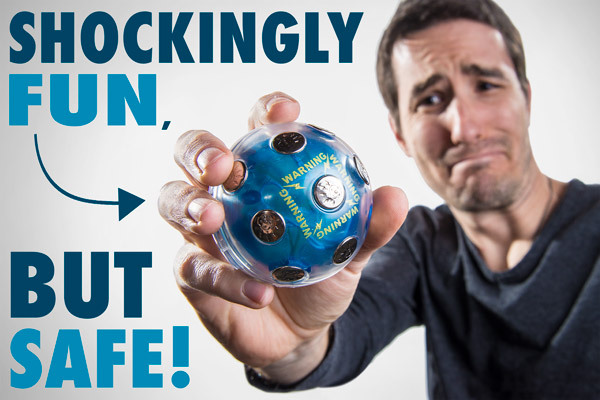 Check out this video where we play a variety of games while being shocked with the Shock Ball! Question: Can I harm it by dropping it? Answer: Shock Ball’s plastic casing helps protect its electrical components. That being said, we recommend playing on soft surfaces whenever possible. Question: What happens if I lose the activation key? Answer: The key is just a plastic rod. It can be replaced with any similarly-sized object.